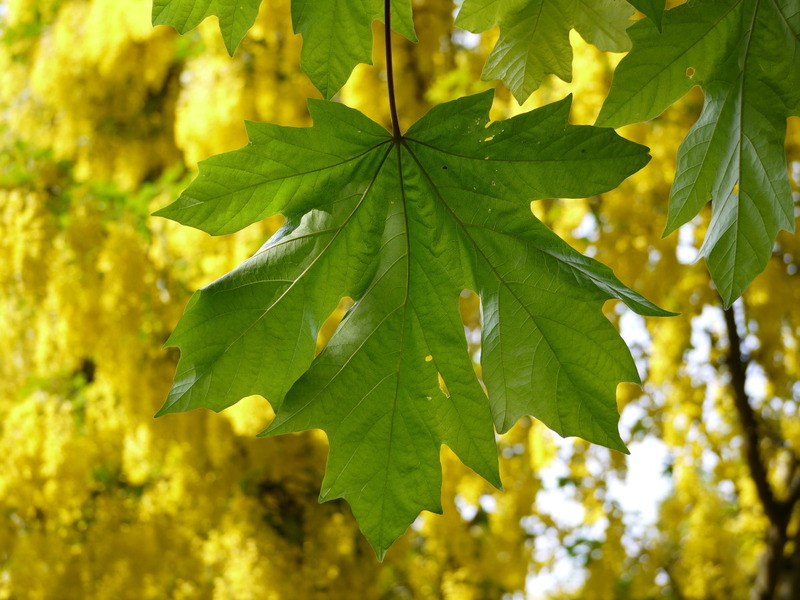 The largest leaves on Bigleaf Maples easily reach 2 feet in length! These trees are keystone species in riparian zones throughout the wet lowlands of the PNW and are particularly important for sustaining healthy moss populations. In the background, you can see the bright yellow flowers of the introduced Golden Chain Tree. These papilionaceous flowers (in the pea family) are favored by bumble bees which are large enough to wriggle their way into the corolla.